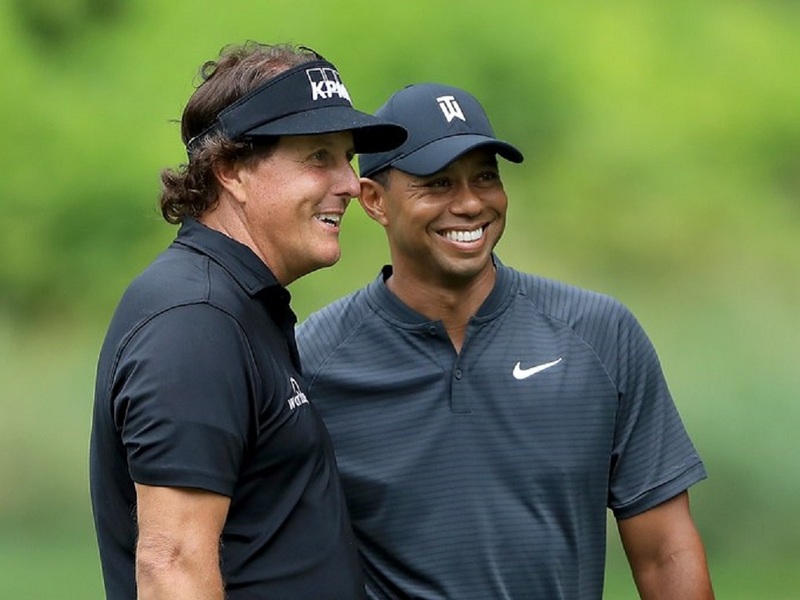 Sorry, fans, you’re not going to be able to buy tickets to the Tiger Woods-Phil Mickelson $9 million megamatch at Shadow Creek in Las Vegas, November 23. Per a report from the Las Vegas Review-Journal, only a “small gathering of sponsors and VIPs” will be allowed on course. 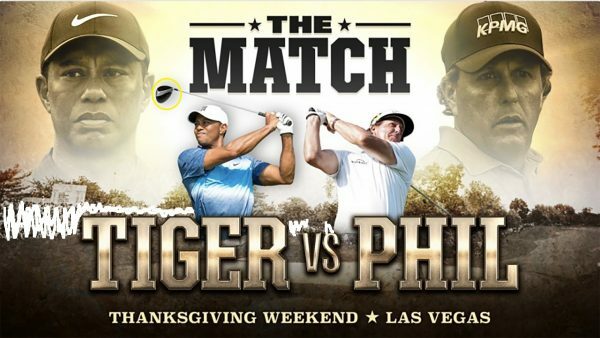 The report also indicates that, in contrast to Phil Mickelson’s promised primetime (ET) showdown, the match will be played under the Nevada sun. The official start time is yet to be announced, ditto the PPV price. We corrected the promo graphic below to eliminate the crowd. 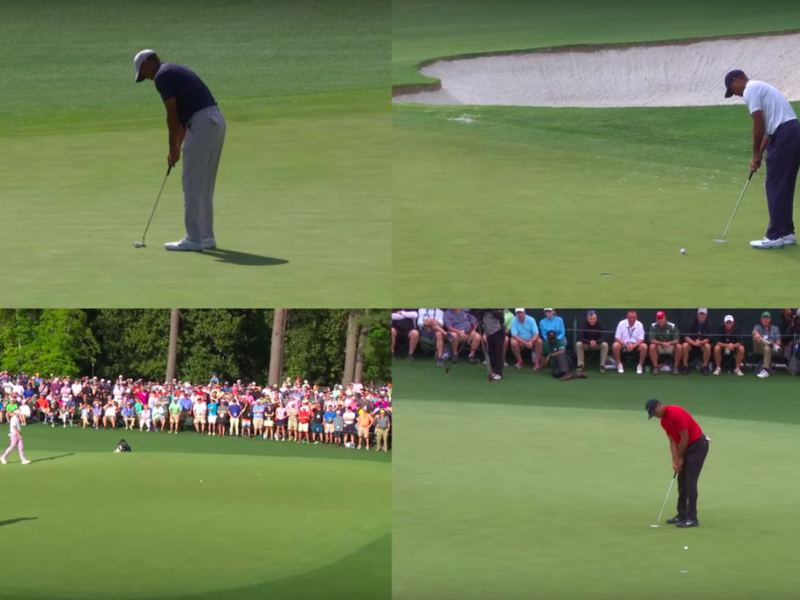 But right-handed Tiger Woods swinging a left-handed club still needs fixing. Woods is the -220 favorite at the Westgate Las Vegas SuperBook. Mickelson is a +180 underdog. WATCH: Is this the craziest hole-in-one you’ve ever seen? My ex-wife has a better chance of me asking her to get back together than me paying for this garbage! To make it interesting, they should use ladies clubs or their old persimmon and balata balls with which they grew up playing. And raise the rough to 4 inches. And on every tee shot, show the actual entire Trackman screen data, not just ball speed and launch, but show the face data. Make it a learning experience for the viewers. Then people might take interest in it. Is no tickets sold code for nobodies interested? Going to be a yawn fest. Any two guys playing a match is terrible for tv. Especially 2 guys who are way past their prime…… and then they want to charge for it! Hilarious! Shadow Creek is amazing (I’ve been luck enough to play it a few times) and it would be the only reason to watch. Yawwwwwwn!! Where’s the nearest toilet? Me too, especially with Phil’s antics lately. So asbout 20 people will watch this in total. What a joke. At least one of them will get a “W” after they went a combined 0-6 in the Ryder Cup. If this was football it would be called the “Toilet Bowl”! i wouldnt watch this if it was free. PPV is totally out of the question. I’m predicting a big flop. Thought this was obvious once Shadow Creek was announced as the venue. PPV?!? Who in their right mind would pay to see this?!? Lol. Probably because nobody was going to buy them anyway. No, it’s because they don’t want errant tee shots exploding people’s eyes. 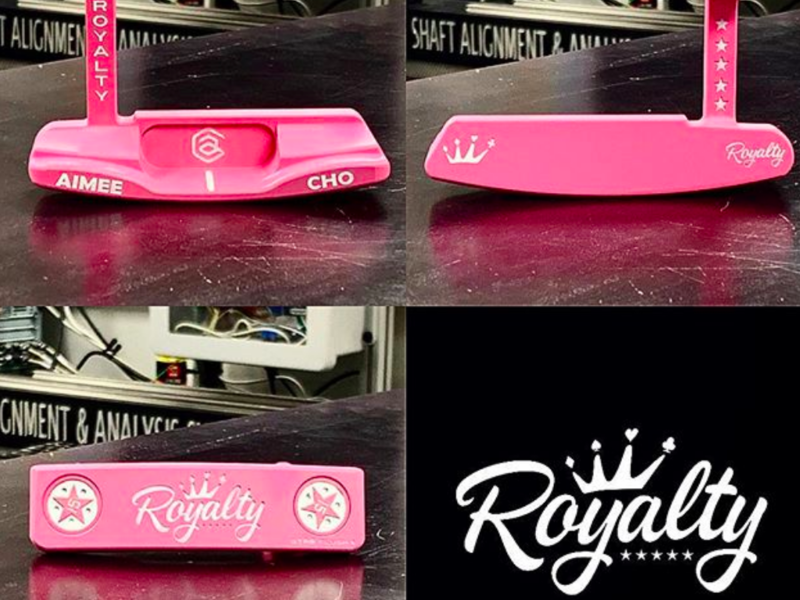 Royalty Sports has created this standout “Pretty in Pink” flat-stick. How about this for a putter and headcover combo? Flatstick courtesy of Lamont Mann, cover from EP Headcovers. Shoutout to Crazy H Custom Leather for these slick custom head covers. Sweet trigonometric blade from GEOM Putters. Kiradech Aphibarnrat provided CNX Golf with some quality Masters memorabilia. Lucky guys! Could any WRXers find these hidden putter covers over at Swag Golf this weekend? Every once in a while the Easter Bunny brings something for the adults. This Easter Egg Cover is currently hidden somewhere on swaggolf.com, but where? C.T. Pan claimed the first PGA Tour title of his career at the RBC Heritage, while Brooke Henderson took home the Lotte Championship on the LPGA Tour in a busy week of golf. 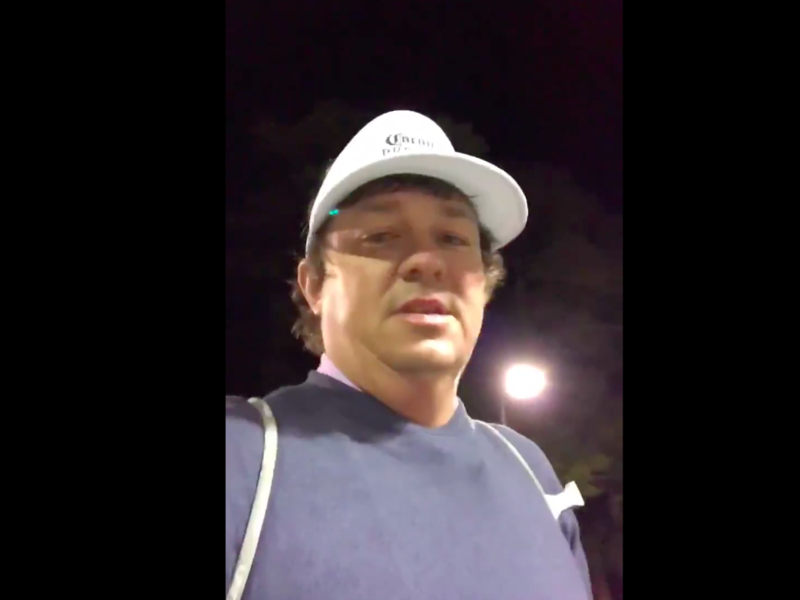 Here are some of the things you may have missed though, and some of the quirkier moments from the world of golf dished out in the Twittersphere over the past seven days. How about this for a stinger? This video won’t be topped all year. Bravo, Jason. Most likely the oddest eagle we’ll see in 2019. Any WRXers experienced anything like this before at the range?